Universal Bending Iron for violin, viola, cello, gamba and guitar. 230 V, 200 W, Ø 50 x 80 mm, 1.8 kg. 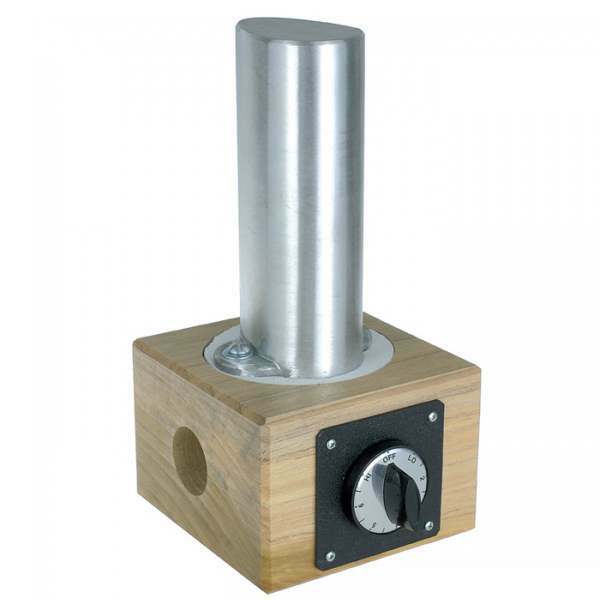 Cast aluminium body mounted on a wooden base with asbestos-free insulation. Can be used in a vertical or horizontal position. Thermostat control.